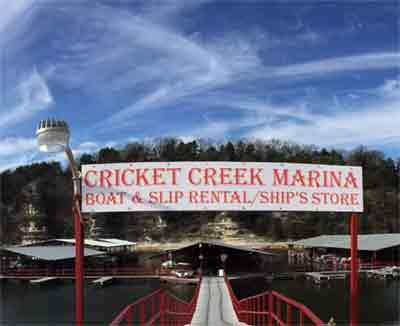 Cricket Creek Marina is positioned on the quiet and peaceful Long Creek arm of Table Rock Lake, and located just 15 miles South of Branson. This hidden gem has something to offer all visitors to the Ozarks. We have great year-round fishing for largemouth, small-mouth, Kentucky bass, crappie, white bass, walleye, and catfish.